Photo via Miami City Ballet on Instagram. For dancers, every day is like Halloween. You don't have to wait until October to try on new personas and elaborate costumes. But that certainly didn't stop the ballet world from going full out yesterday. We rounded up some of our favorites across Instagram to help draw the *spooky* holiday spirit out for one more day. Matthew Bourne's New Adventure's production of The Red Shoes is nearing its final performances at New York City Center this weekend. American Ballet Theatre's Marcelo Gomes is guest-starring in the production as Julian Craster, the composer boyfriend to protagonist Victoria Page. But for Halloween, Marcelo donned the infamous red shoes himself to dress as the leading ingenue. 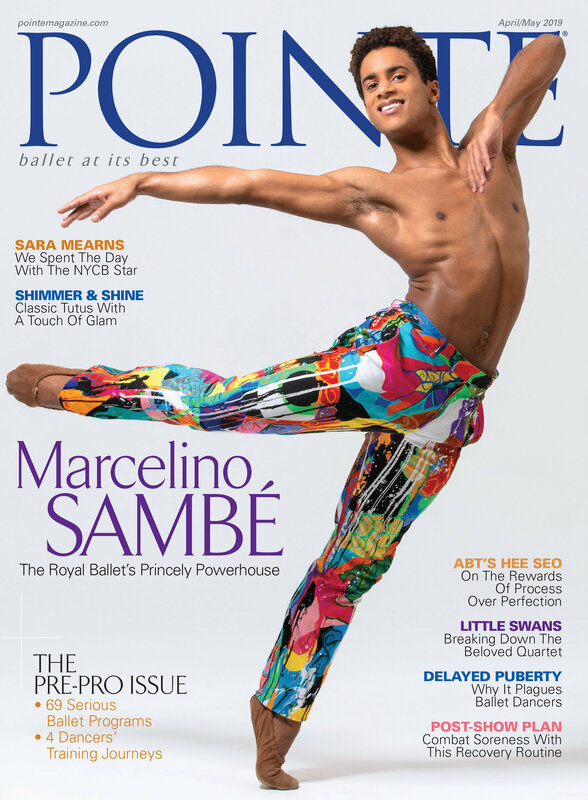 Dance Theater of Harlem's Ingrid Silva (and Pointe's June/July cover star) dressed as a unicorn alongside her dog, Frida Kahlo. Between book deals and Under Armour endorsements, her own Barbie doll and a spot at the judges table on NBC's "World of Dance," Misty Copeland has been one of the few ballerinas to break into mainstream pop culture. Now she's conquering the world of cosmetics. Yesterday, Esteé Lauder announced that Copeland is the new spokesmodel for its fragrance, Modern Muse. The name seems fitting, given how her journey to becoming American Ballet Theatre's first black principal woman has inspired so many. She'll front the fragrance's campaign across digital, print, in-store and television advertisements. At Dance Theatre of Harlem, the dancers hand-dye their pink pointe shoes to match their skin color. Here, DTH's Ingrid Silva, our June/July cover star, shows us how she does it.